Roy Claude Sherrington was born in Suffolk and moved to Chelmsford as a boy. After working at the town's Hofmann bearings factory he joined the R.A.F. before the outbreak of the war. He was awarded the Distinguished Flying Medal in June 1942 but was killed flying from Malta in April 1943. A brother was also killed serving with the R.A.F. Their home was in Lady Lane. "When Roy Sherrington left school he entered the drawing office of the Hoffmann Manufacturing Co. Just before the war broke out - he was 18 then - he joined the R.A.F. Brother Stanley did likewise, and for a time they were at the same R.A.F. station. Now they are separated, but follow each other’s careers with the same interest as they took in building those model bombers years ago. Flight-Sergt. Sherrington has been home on leave this week. Fresh-complexioned, with a ready smile, slim built, and wearing his D.F.M. ribbon, he looked in the best of spirits. With some persuasion I got him to tell me something of his work. He has been on more than 40 operational flights, mostly in Havocs, bombing enemy-occupied aerodromes and other targets. He has had a hand in the destruction of at least four enemy aircraft, with two ‘probables’, and three others badly damaged. He actually saw pieces of the fabric blown out of one of the ‘probables’, which shows how strict a check is kept on the claims before they are allowed. Sergt. Sherrington showed me a piece of aluminium fitting from a 4-engined German bomber which his Havoc blew to bits over a base in Northern France. “It tried to attack us’, he said, ‘but we out-positioned its gunners, and a few short bursts from our machine guns simply blew it up. We were so close that when we got home we found bits of the bomber lodged in the wings of our own machine. This is one of the bits. On another occasion we encountered a raider just as it was about to land at its own base. We swooped down, bombed and gunned it, and left it blazing from end to end. Our chief job during the big raid on Cologne was to prevent enemy aircraft coming up to attack our bombers. ‘What are your most ‘nervy’ moments?’ I asked. ‘The stand-by periods’, was the reply. ‘Once up on an air operational things are likely to happen so quickly as to make you forget all about nerves, and all the time you have to out of the way of flak, which Jerry gives us in plenty as a rule. It’s the waiting before going up that is apt to be tiresome. One source of great confidence is knowing that our machines are as near perfection as anything can be, Sometimes our craft shudders as a shell bursts uncomfortably near, and we have come back with big holes in our machine: those are the times when we look upon the men and women in our factories as real life-savers’." In late 1942 the squadron was moved to Malta. 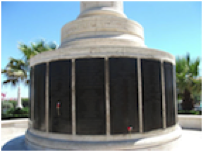 Roy went missing in Malta on 28th April 1943, along with New Zealnder Flying Officer William Henry Hopkins, by which time he was a veteran of over fifty operations. 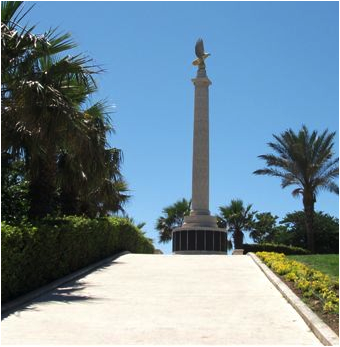 He has no known grave and is commemorated by the Malta Memorial in Valletta, Malta. At the time of his death Roy's mother was living at 'The Friary' (number 30) Lady Lane, Chelmsford. 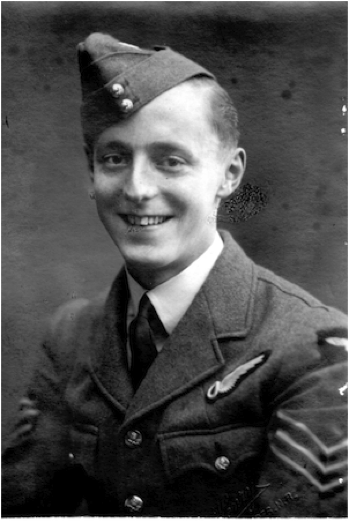 Roy's brother Stanley Victor Sherrington was to lose his life serving with the Royal Air Force three months after Roy's death. Roy was born in Waldringfield, Suffolk in 1921, the son of the builder William Joseph Sherrington (1880-1929) and Annie Maud Sherrington (nee Bloomfield) (1881-1975). Stanley's siblings were William Frederick Sherrington (1906-1973), Ivy Maud Sherrington (born 1909), Ronald George Sherrington (1911-1991), Olive Vera Sherrington (1913-1998), Gladys Lilian Sherrington (born 1915), and Stanley Victor Sherrington (1918-1943). 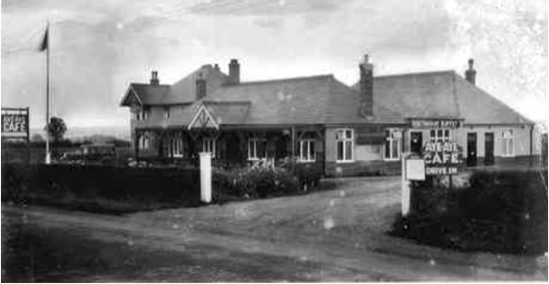 Roy's father died at Lynfield, Main Road, Witham in 1929. He left an estate of £5,642 to Roy's eldest brother William Frederick Sherrington, a builder. He ran the Aysher Motor Craft Company and also owned the 'Aye Aye Cafe' on the A12 in Witham (pictured). During the Second World War Roy served as Warrant Officer 751458 in 23 Squadron, Royal Air Force. The squadron was a night fighter unit which was based in England in the early years of the war initially as a defensive squadron but later as an intruder squadron attacking targets in occupied Europe. On 23rd June 1942 the London Gazette announced the award to Roy, then a Flight Sergeant, of the Distinguished Flying Medal. He had completed over 40 intruder sorties, mainly in Havoc aircraft, and been involved in the destruction of four enemy aircraft with two other probables. “When Roy and Stanley Sherrington were growing up, their favourite pastime was building aircraft and drawing engines for them.Mother often found the living room littered with spare parts, and in between her housework the boys would come bouncing up holding their latest model, and exclaiming ‘Look, mum, here’s a long distance bomber’, or ‘This fighter flies all by itself’. Well, the boys are in their element now. They are both in the R.A.F. Let me introduce Flight-Sergt. Roy Claude Sherrington, aged 21, and L.A.C. Stanley Sherrington, three years his senior. Their home is at The Friary, Lady Lane, Chelmsford. 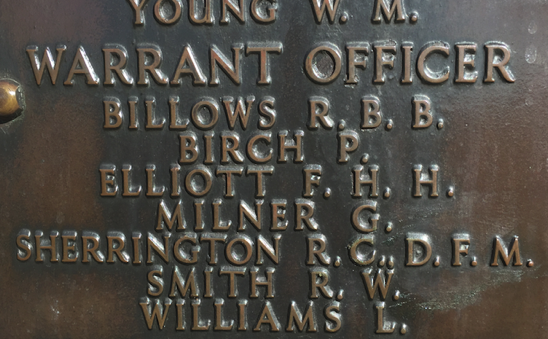 Roy, an Old Boy of Mid-Essex Technical College, has just been awarded the Distinguished Flying Medal, and this is what the official citation accompanying the award said: 'This observer has completed a large number of intruder sorties, during which he has participated in the destruction of a large number of enemy aircraft. He is a keen navigator who is also accurate in his bombing and coolly efficient at all times.